The most nimble and flexible display product. Perfect for usage as signages, information boards or photo booth props. 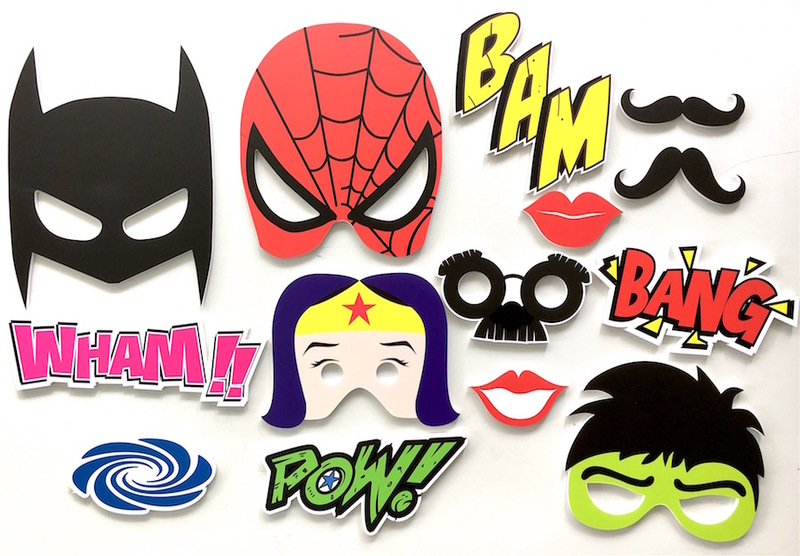 The above depicts some custom design photo booth props specially made for a photo booth company. The props are printed on hard foam board and die cut to shape. Foam board printing is probably one of the most common frequently used printing product. This is probably so because it is cheap, versatile and suitable to be used as signage for any occasions or events. Here at BruceBanner, we print out foam board in 4 different kind of materials. These materials differs in their thickness and level of brittleness. The thicker the foam board, the stronger it is, the more expensive the price. Generally speaking, unless it is for long term usage (whereby you wish to keep the foam board for future usage), we recommend printing in usual foam board will do. No need for thicker material. If you are confused and require some advice, feel free to contact us. Our graphic specialist will advise you accordingly. You can choose between matte or glossy surface. After confirmation of artwork, we will require 2 working days for printing. The foam board will be available for collection/delivery on the next working day.